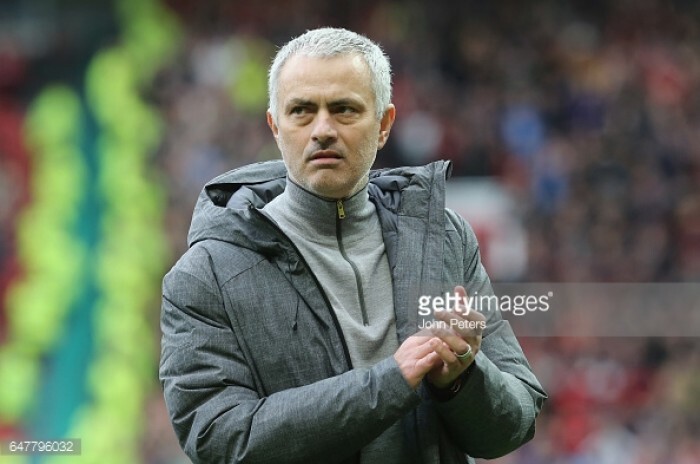 Jose Mourinho has admitted that he is worried that the club’s home form may end up costing the club a place in the top four of the Premier League. The Portuguese manager was speaking after the club’s 1-1 draw with Bournemouth during the weekend. It was the seventh draw for United in 14 games at Old Trafford this season. United have traditionally dominated the opposition with it comes to games at Old Trafford. Yet, they have been able to score less than 1.5 goals per game in the home matches. They have conceded almost one goal per game in these games. More worrying is the fact that United have dropped these points against teams that they have been expected to win. Away form has been substantially better with the club drawing only three in the 12 matches. Despite an unbeaten run that stretches to 17 games, United still find themselves outside the top four. The competition for the Champions League places is as intense as ever, but the weekend witnessed three teams gain a significant advantage – Liverpool, Tottenham, and Manchester City. Italian football figure Gianni Di Marzio has revealed that Juventus could have been reaping the fruits of investing in Cristiano Ronaldo had a swap for the Portuguese gone through. Di Marzio was in charge of the club’s transfers from 2001 to 2006. He said he could sealed the deal had Marcelo Salas agreed to the deal. “He [Ronaldo] was eighteen when I worked at Juventus. I called my club and told them I’d seen someone who would be the best player in the world, obviously after Maradona. I negotiated and brought Cristiano over to Turin in 2002 to sign for Juve, but Salas didn’t accept the terms of the swap. “For just a few million Euros, Salas didn’t want to leave and so Juventus lost out on Cristiano Ronaldo. His agent knows this story very well,” Di Marzio said in an explosive interview.